Qoros once expected that about 10 percent of its sales, including the Qoros 3, would come from Europe. LONDON -- The net worth of Israeli billionaire Idan Ofer, which has plummeted in part from dropping commodity prices, jumped by $200 million this week as shares of his investment company, Kenon Holdings, soared more than 30 percent on news it sold a controlling stake in the money-losing Chinese automaker Qoros Automobile. Baoneng Group bought a 51 percent stake in Qoros, a company that at one time expected that 10 percent of its sales would eventually come from Europe. The group paid about $1 billion, according to a filing Tuesday with the U.S. Securities and Exchange Commission. The deal represents $680 million in upside for Kenon and caps a years-long effort by Ofer to meet shareholder demands that he reduce exposure to the heavily indebted car company. 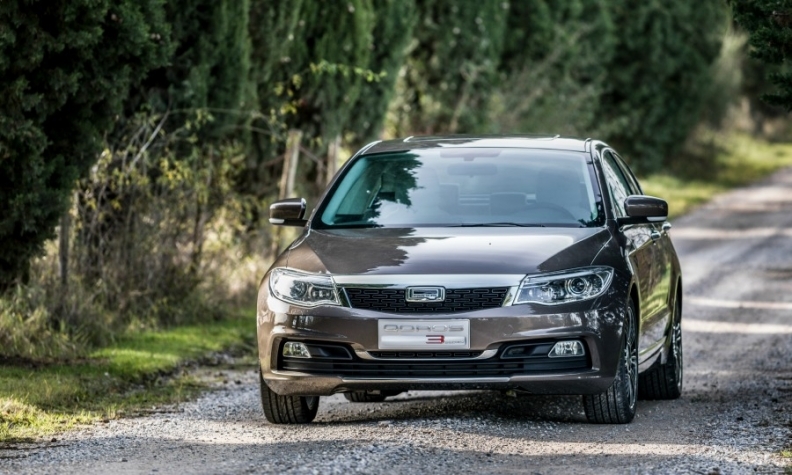 Qoros, founded in 2007 as a 50-50 joint venture with Chery Automobile targeting the country's growing number of first-time car buyers, struggled to overcome entrenched skepticism of Chinese-made cars. Shoppers balked at its premium pricing. It reported a 1.9 billion-yuan ($279 million) loss in 2016 and has been kept afloat with 1.8 billion yuan of loans from Kenon and Chery, and another 450 million yuan from Ofer personally, according to its annual report. As part of the sales agreement, buyer Baoneng will assume a proportionate share of Kenon and Chery loans, and has agreed to buy 100,000 vehicles a year through 2020. Kenon also has the option to sell its remaining stake in the business for 3.1 billion yuan over the next five years. The sale helps the automaker dodge the fate of Better Place, an electric-car charging station operator also backed by Ofer. That business was founded, like Qoros, with much fanfare and a starry cast of backers and managers who were hoping to bring electric cars into the mainstream. The company went bankrupt in 2013. Ofer's fortune has tumbled in recent years as commodities prices collapsed and cargo rates pummeled his shipping and deepwater drilling-rig businesses. The executive's net worth is now valued at $3.7 billion on the Bloomberg Billionaires Index. The Qoros sale is Kenon's second major transaction in two months. On Jan. 1, the company said it received $1.3 billion when it sold its Latin American power business to private equity firm, I Squared Capital.